Reading Now:2019 Ford Ranger’s First Sales Discount Announced! 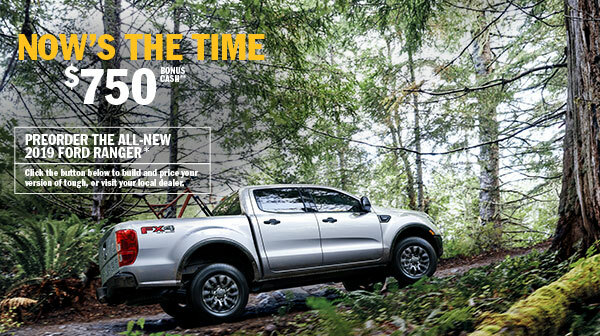 2019 Ford Ranger’s First Sales Discount Announced! If you were hoping to preorder the 2019 Ford Ranger with sales incentive, you’re in luck as Ford has just announced the first factory discounts! If you preorder your 2019 Ranger by January 2, 2019, you’re automatically entitled to a $750 discount on the XLT or Lariat model (see off details inside). You’ll have to take delivery from the dealer by July 2, 2019, but that should be plenty of time for anyone who has ordered by January 2. Happy ordering all!